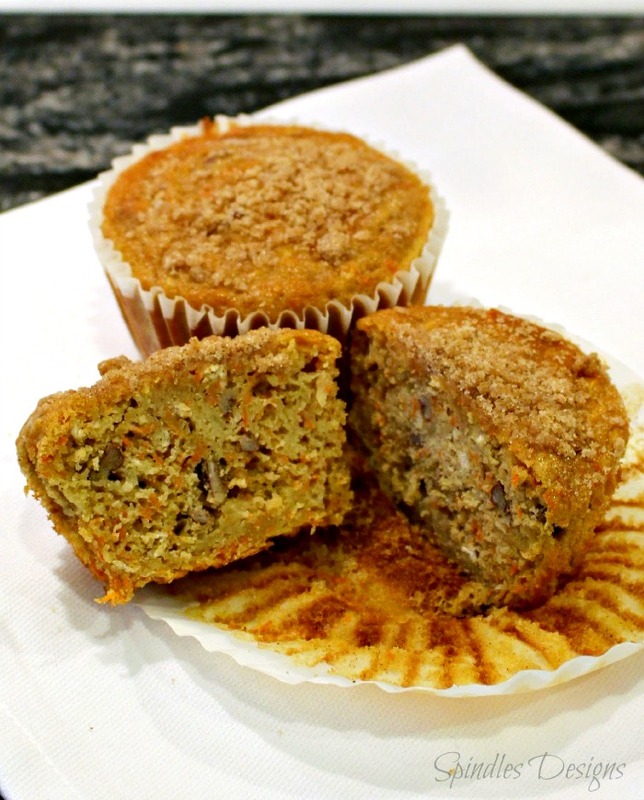 We are continuing with our November Apple Series with this Apple-Carrot Muffin recipes from Spindles Designs by Mary and Mags! This is the SIXTH post the series, so make sure you check the homepage to see all the yummy recipes. 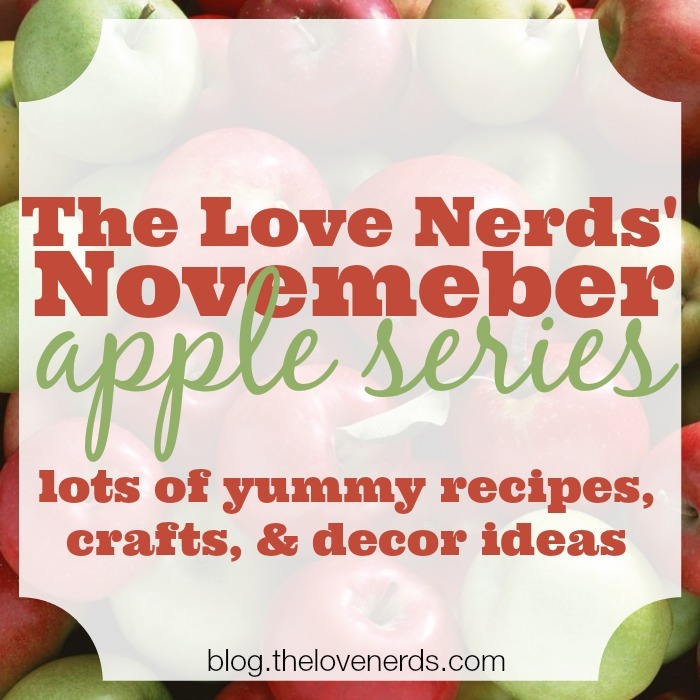 I am so excited to have the ladies from Spindles Designs here on The Love Nerds. They are such a sweet mother-daughters team and are always sharing such fun projects and great recipes to try out. 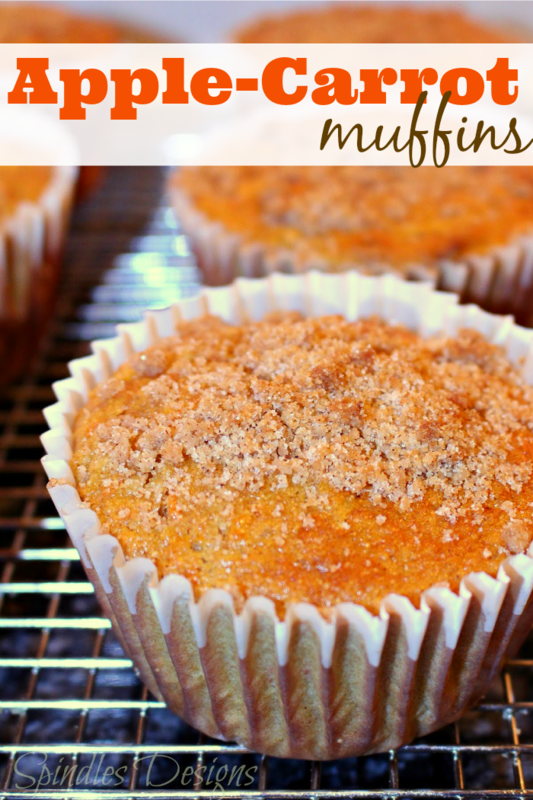 I am especially excited about these Apple Carrot Muffins! This just screams fall to me. Wouldn’t these be perfect to offer up for breakfast on a cool fall morning? Plus, I really love streusel topping. I’m definitely going to bake up a batch soon. Now – say hello to my friends! Hello!! We are so excited to be here. There are so many wonderful things to cook with in the Autumn months. Apples and carrots, just to name a couple, each have great recipes using them individually as the main ingredients. 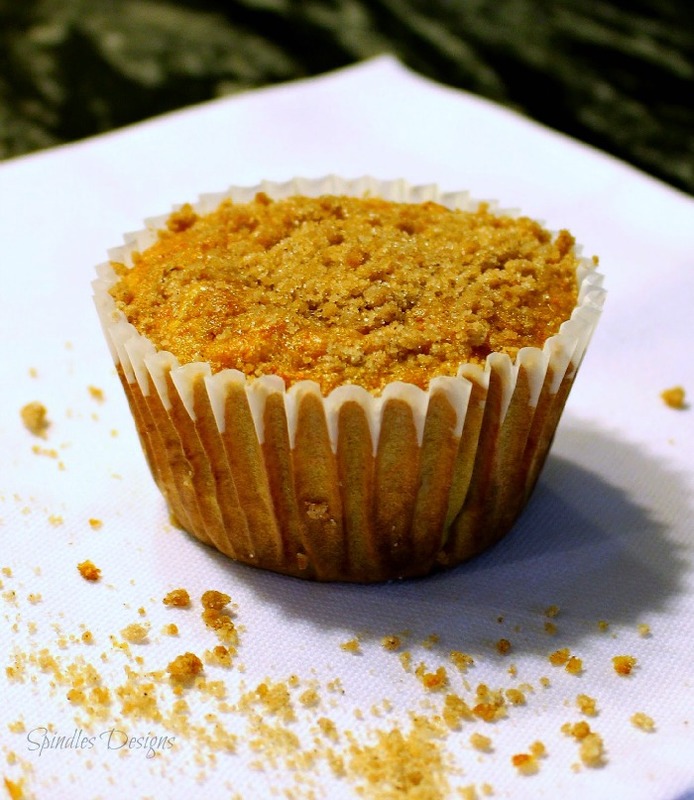 This recipe combines them though for a moist quick bread like texture in a muffin with a light streusel topping and a delicious taste that is not so super sweet. Try them for your next holiday brunch! They’re delicious and actually pretty healthy in the mix. Enjoy!!! Sift together flours, baking powder, soda, salt and cinnamon. Whisk in brown sugar, powdered buttermilk and oats. Set aside. In a separate bowl whisk eggs until well blended. Stir in water and oil. Add liquid to flour mixture just until moistened. Add apples, carrots and nuts, stirring only until evenly blended. DO NOT OVER MIX. Line 10 - 3½" or 16 standard muffin pan cups with paper liners. Spoon into paper liners, filling cups about three-fourths full. Bake at 400 degrees for 15-20 minutes depending on the size of muffin pans or until a tooth pick comes out clean. Ooooh these look so yummy. Anything I can eat with oats AND walnuts is on my list!